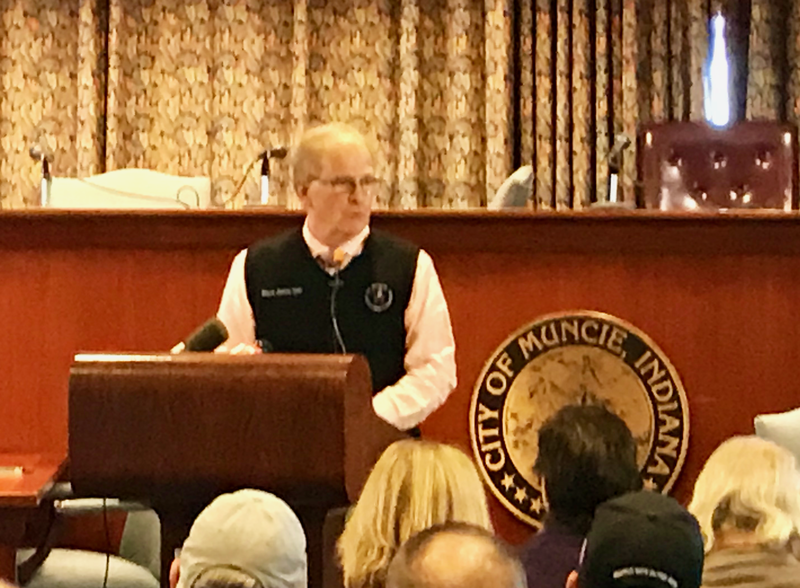 MUNCIE, Indiana NEWS – I was fortunate to meet with Gary Younge, a very well-respected journalist from London when he first came to Muncie. Gary writes for the Guardian UK, and stayed in Muncie for five weeks, leaving shortly after the election. While he was here, it didn’t take him long to pick up on the racist fervor in town as the result of Donald Trump embracing Richard Nixon’s, “Southern Strategy.” Unlike Richard, Ronald Reagan and the Bush’s, Donald was unable to “polish over it with political correctness.” His white supremacist stances were blatantly obvious. A more in-depth analysis of Trump’s victory shows that fears played a significant role in his success – fear due to economic insecurity and a changing demographical landscape. I’ve written many articles about the hate which surfaced after the election of our first black president. The Southern Poverty Law Center said hate groups grew 1,800% after the 2008 election and it drove the growth in America’s conservative movement. It was racism made by white supremacists rejecting a black president. The Alt-Right or Neo-Nazi groups also exploded after Obama became president. As we’ve learned with the appointment of Stephen Bannon as Trump’s chief strategist, the Alt-Right has a place at Donald Trump’s table. Therefore, we cannot deny that hate and racism were a significant factor in Trump’s success. We also know that Trump was successful in Delaware County. Gary referred to Delaware County as a “swing county” in our state. In the primary, we also supported two populist candidates – Bernie Sanders and Trump. So, how much of Trump’s victory in our community was predicated on racism versus populist anger. Quite frankly, they’re so inextricably connected, it would be pointless trying to separate them. Aside from our political bent, we’ve been called Middletown since the famous, Bob and Helen Lynd sociological studies. Gary specifically wanted our perspective on the presidential election as a microcosm of the United States. We fit the narrative rather well – the signs of the collapsed middle working class are everywhere. We’ve suffered under four decades of Neoliberalism, and we have plenty of racists. His articles in the Guardian UK was well received around the globe. In the case of Muncie, we have a colorful history with white supremacy and the Ku Klux Klan (KKK). You can pick up several old projects exploring those connections. As our history books note, many KKK leaders were well-respected white business owners and affluent people, but you don’t get to read much detail. Just note, they wore robes and hoods to protect their anonymity. America was founded as a slave country, so it was a common mentality. After the Civil War ended in 1865, racism didn’t vanish. Several of the historical accounts note the connection between the KKK and the Republican Party, especially in Muncie. Down south it was the Democratic Party – the Dixiecrats. 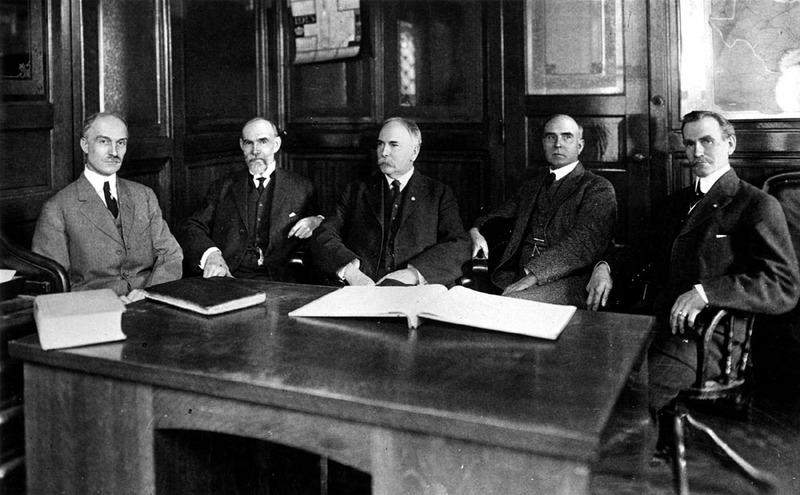 Historians have accessed an abundance of documents over the period. However, most are entirely whitewashed over to depict a story more favorable to the local Elites. Some things never change. For instance, in Muncie, I’ve read several of the studies funded by local foundations, and all of them attribute race problems to the KKK. Muncie factory owners in the 1920’s sought workers from Kentucky and Tennessee. Therefore, it would make sense they might have introduced a “southern attitude toward blacks” in our community. Although, racism was already alive and well in Muncie long before southern factory workers were bused into our town. However, every single historical study I’ve read stops short of connecting the white industrialists, more specifically, the Ball family to racism. We even know that racism during the late 1800’s and early 1900’s was a widespread attitude. We had a “Freedom Bus” last year to display our local history, and it mentions the Ball brothers benevolently, as one of the “few factory owners in the Midwest hiring black workers.” I guess this positive depiction comes with funding these historical projects. Whatever, you would like to call it, I refer to this as “whitewashing” our history. Our history books are full of “whitewashing” away ugly truths we’d prefer future generations wouldn’t know. Slavery, racism, and genocide are the most popular truths we rename, or completely gloss over. The ownership and occupancy of lots and buildings in this addition are forever restricted to members of the pure white race. The writing gets much more colorful, but I think you get the idea of who precisely was excluded. The Chinese and Jews were also forbidden from living in Westwood. The restrictions lasted well into the mid-1900’s. In fact, many Jewish homes built during the 1950’s and 60’s in Riverside/Normal City were a result of the restrictions in Westwood. According to several local sources, most of Muncie’s neighborhood association documents contained language restricting people of color. The redlining of neighborhoods became illegal by the federal government, but generations of hard-coded racism are hard to change. It becomes embedded in the communities culture, and the defining lines still restricted. position. The business and professional class withdrew from their traditional residential neighborhoods in the East End and left deterioration and declining property values in their wake. The Balls’ geographically concentrated investments and ongoing civic philanthropy exerted their own force, a kind of gravity of capital, that drew other investments towards itself, profoundly influencing the future of Muncie, Indiana, in ways that were both intentional and unforeseen. The Ball’s essentially created Northwest Muncie to move away from the growing industrial working class and increasing minority class after slaves were freed from the south, and began migrating to the north. The Balls also established Burris School in 1929 to serve their Ball Teachers college and the upper-class whites in Northwest Muncie. In the decades that followed, Muncie would grow dramatically, but the growth would be contained within those “forbidden boundaries.” As civil rights surfaced in the 50’s and 60’s, the city would build a high school in the Northwest corridor serving the white upper class, while the white working class in south Muncie would build a high school named after the Confederacy – flying the Rebel flag as its symbol. It [Muncie] did have a small foreign-born population because the local business class imported workers from Tennessee and Kentucky. “There was a conscious attempt to keep foreign workers out,” says Connolly. “Because they wanted people to go home during slack times and they were worried foreigners would bring in dangerous ideas.” But once again, this made it atypical compared with other towns of its size. However, our Middle Class consisted of a “knowledge or professional class” and a growing “working class” propped up by union wages. When industry vanished from Muncie in the 80’s and 90’s, our urban design based on race/class divisions became all too clear. The bodies were left to hang overnight and were cut down in the morning. By that time news reached Reverend JE Johnson, a pastor and mortician 30 or so miles away in Muncie. Knowing that Marion had no black undertakers, he braved the trip to Marion that morning to pick up their bodies and prepare them for a Christian burial. When rumours spread that a white mob was coming to take the bodies back, Muncie’s black community armed themselves in preparation and the town’s white sheriff, Fred Puckett, stood with them. The next day Puckett and a posse from Muncie’s black community escorted Johnson to the county line from where he continued to Marion to deliver them for burial. This took place just one year after Middletown was published. But the experiences of people like Johnson and many of those who stood with him that day, are omitted from the “typical” American story of Middletown. Sorry Yvonne, like everything else in Muncie, Indiana history, you’ve been whitewashed. It makes you wonder who could have exerted that much pressure on the Lynd’s in the 1920’s, to have them exclude the treatment of the black community? Who could use enough pressure to whitewash our history in Muncie, again and again? Most likely the same family who controls Muncie in 2017 and who coded racism into our Midwestern community in the early 1900’s. The obvious question is, “If racism was so prevalent and acceptable during the early 1900’s, why not own your involvement? Why use your wealth and influence to wash it away like it never happened? Here’s an ironic twist for closing this article. The lynching of two black teenagers in Marion and the iconic photos taken of the limp bodies and the all-white mob inspired a poem which was later sung by the great Billie Holiday. “Strange Fruit” was the title. The song was blacklisted in the United States because it inspired uprisings within the black community. According to the Independent, “Strange Fruit” was once described by record producer Ahmet Ertegun as “a declaration of war … the beginning of the civil rights movement”.